A Melbourne-inspired coffee shop that specializes in sourcing Arabica coffee beans with a Barista Championship Judge amongst the staff. 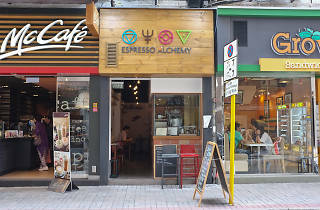 Run by Ambrose Peter Law after he learned the craft of coffee roasting in Melbourne, which is renowned for making the best coffee in the world, Espresso Alchemy is a small institution that specialises in sourcing and roasting superior Arabica coffee beans from select origins. 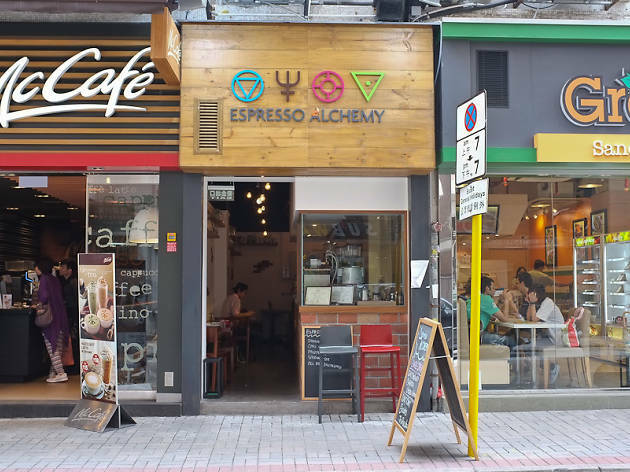 The coffeehouse is the only wholesale coffee roaster in Hong Kong to have a Licensed Coffee Grader and a Barista Championship Judge amongst the staff to provide unparalleled roasting quality control, coffee training and bar management. Impressed? Wait till you try the cold brew or any of the barista’s choice.